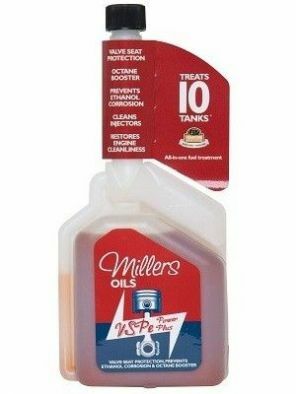 Add to unleaded petrol as a replacement for 4 star leaded petrol, ethanol protection, lead substitute and octane improver. 50 ml treats 50 litres of petrol. Remove cap, gentley squeeze bottle to fill dose chamber to line, pour dose chamber contents into the tank before re fuelling.